Experience horseback riding in a new way at the Palm Beach International Equestrian Center with the equine simulators. PBIEC offers jumper, cross country, dressage, and polo sessions to both competitive and beginner equestrians who are interested in improving their riding skills. 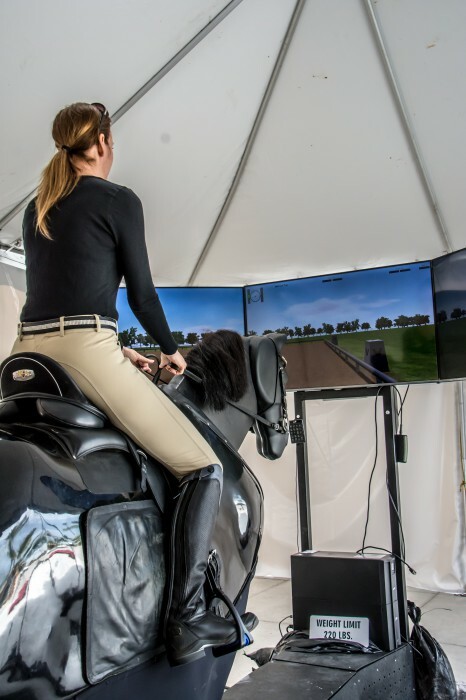 The Equine Simulator is a mechanical device that imitates natural equine movement and physical responses to mounted riders. 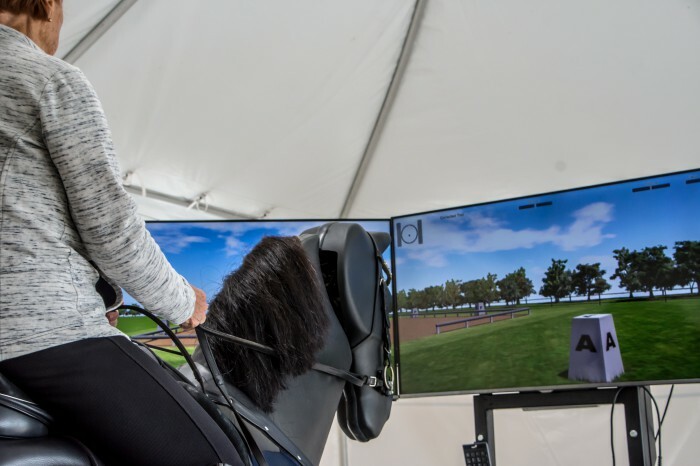 The simulators serve as a one-of-a-kind opportunity for equestrian enthusiasts to fine-tune their skills, as well as provide a platform for individuals who have never ridden a horse to begin their riding careers in a safe and controlled environment. Three interactive screens surround the simulator, creating an immersive atmosphere for individuals. A certified instructor is always on hand to perfect seat position, leg stability, and connection to the bit. World-class trainer Barbaro Ask-Upmark teaches show jumping, cross country, and dressage sessions for all ages and rider levels. Ask-Upmark is an accomplished dressage rider earning her USDF Gold, Silver, and Bronze medals in the United States following her successful career as a top dressage trainer in Sweden. Ask-Upmark became involved with coaching and training on equine simulators in 2006. A second simulator offers practice for polo players. This device allows them to work on their position and their swing with the moving treadmills located on either side of the horse. To practice hand-eye coordination, as well as near-side and off-side shots, both experienced players or first-time riders are encouraged to sign up for a session with polo instructor Joseph Gridley. Sign-up below for your first simulator lesson at PBIEC or IPC!